Students are speaking out about the accessibility of mental health resources on campus one day after a silent protest was held at the University of Toronto. On Monday, hundreds of students gathered outside the president’s office at the university, demanding more resources amid what they say is a growing mental health crisis. Students said that there are long waits to speak with a counsellor over the phone or to book an appointment. 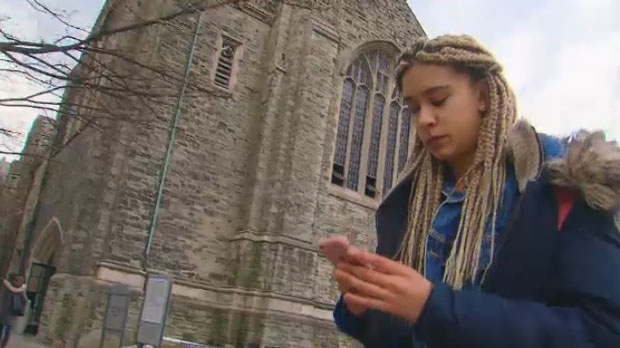 Nadia Blackwood told CTV News Toronto on Tuesday that she struggled last year as a first-year student and reached out for help. Bella Shulman said she was able to get an appointment, but was told she would have to wait another six months for help. The Chief Youth Officer at Kids Help Phone and Good 2 Talk, a service geared specifically to post-secondary students, said that her counsellors held 28,000 sessions with students last year. 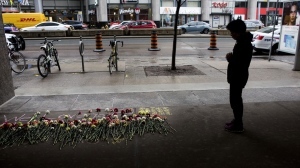 In a statement, Sandy Welsh, Vice-Provost of the University of Toronto, said they realize the “growing need for mental health services” on campus and in the community. The phone number for Good 2 Talk’s helpline is 1-866-925-5454. Nadia Blackwood, a student at the University of Toronto, says she struggled in her first year at the school.